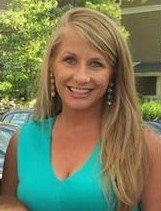 Natalie Crawford Stovall-Frady, age 33, of Southaven, Mississippi, passed away Thursday, May 26, 2016. Natalie is remembered with love by husband, Howard Frady; two sons Walker Stovall and Will Frady; parents Lora Pugh Crawford and Ron Crawford (Renee’); brother Justin Crawford (Jana); grandparents Red and Martha Norman and Sue Crawford. Natalie was preceded in death by husband, 1st Lt. Matthew Stovall; grandparents James and Ola Mae Pugh and Leroy Crawford. Visitation will begin at 4 p.m. Tuesday, May 31 and the Service Wednesday, June 1 at 2 p.m. both held at Getwell Road United Methodist Church, Southaven, Mississippi. The church will accept flowers both Tuesday and Wednesday. Natalie loved her family and friends with her whole heart…..Howard and her boys were her world. When Natalie entered a room, she would light it up with the most amazing smile. She was truly a beautiful person inside and out. Natalie was loving, generous, kind, and touched the lives of so many. She always made time to celebrate with family and friends and made each of us feel as if we were the most special person in the world. Natalie had a gift of love and she shared it with everyone she knew. Natalie was dedicated to helping soldiers, veterans, and their families through the Stovall Foundation which she created. She was able to make a difference for military families in need. Natalie inspired us all to be better people, to love BIG, create memories, and take pictures to capture all the good times. Memorials can be made to the Stovall Foundation in Natalie’s honor. I am so sorry for this loss. I will be praying for her family and loved ones. Dear God please keep your love and blessings on Natalie’s family and loved ones.. I will be praying for all of her precious family. Dear Lord please comfort and cover this family with your love and blessings. I’m so very sorry to hear of Natalie’s passing. I have known the Stovall family for years and met Natalie when we worked with her for the foundation at Adesa Memphis. We all fell in love with her instantly. She was an incredible woman with a real passion for life and her work for the service men and women in Mississippi. She loved her boys and Howard. Today being Memorial Day when we remember our heroes, I’m remembering one of my heroes, Natalie Stovall Frady. She has earned that status in this world. Keeping Howard, Walker and Will in our prayers. Howard you and your family have Been in my prayers. May God give You peace and comfort and strength In the following days-werks and Months to come. Howard you and your family are in our thoughts and prayers. I am so Sorry for your loss. May GOD Bless and keep you. Howard, many prayers have been prayed for you and your family. May God comfort all of you during this time. Connie and I send our love and deepest sympathy to all…Please know we will continue to pray for you and the boys and if I can help in anyway please let me know. We send our deepest condolences and prayers to Howars, Will and especially Walker. We pray for him and all extended family that you will find strengthin this difficult time. Howard we cannot begin to understand your pain and sorrow during this tragedy. We pray for you and your sons that you all will lean on the Lord Jesus and trust Him for strength as you mourn and slowly recover from this loss. God bless the Frady family. In Jesus’ name we pray. Aunt Natalie you are missed and love deeply! So sorry to hear about Natalie. God bless ya’ll. To the family and friends of Natalie, John and I were both shocked and filled with sorrow on hearing of Natalie’s tragic passing. She was a beautiful soul, a gracious friend, and a truly caring person. I have never met anyone who lived life so fully, driven to find love and joy in all she did. I know she suffered a great deal when Matt passed, but she rallied and helped other veterans to cope with that pain. She made friends all over. Natalie willl be greatly missed, now and always by those who love her. May God bless you all. Our deepest condolences. Rest easy, precious girl! I went to high school with Natalie and the obit is right, back then she smiled all the time too! Never stopped. This was a sudden and tragic thing to happen for this family. I pray you are comforted now and in the days to come. You are all in my prayers; friends and family alike. So very sorry for your loss – praying for your family. I share your deep sadness for the loss of a wonderful lady who in her short time on earth tasted both the sweetness and bitterness of life to its fullest measures. Her strength and spirit was an inspiration to all. My prayers go out to the Stovall and Frady families. May God give your peace, love and strength during this very difficult time. Will always remember Lt. Matt Stovall and his ultimate sacrifice for our country. I am sorry for your families’ loss . . . Natalie was such a wonderful person and will be missed greatly. My family is praying for the family and friends! She will always be rememberd as a beautiful, loving, inspiring, full of energy, mother, wife and friend!!! I love you Natalie and will always remember the wonderful childhood we shared together!!! Gone too soon sweet child of God. You were truly beautiful inside and out. Prayers for the Crawford and Grady family. Next Henry Murry Beaty Jr.